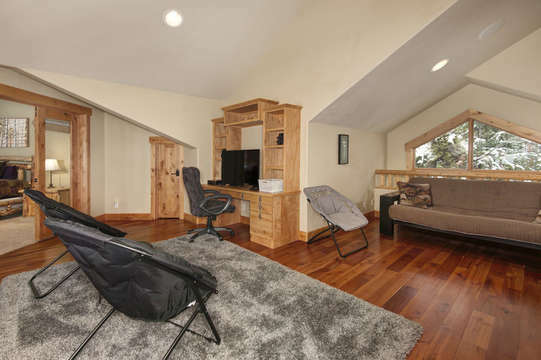 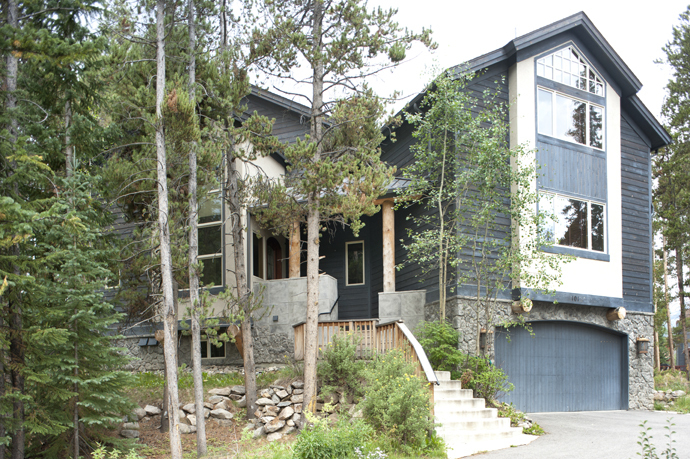 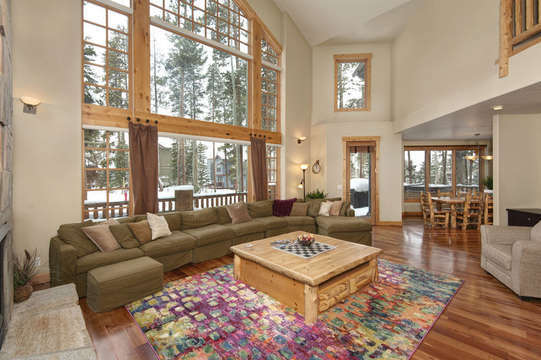 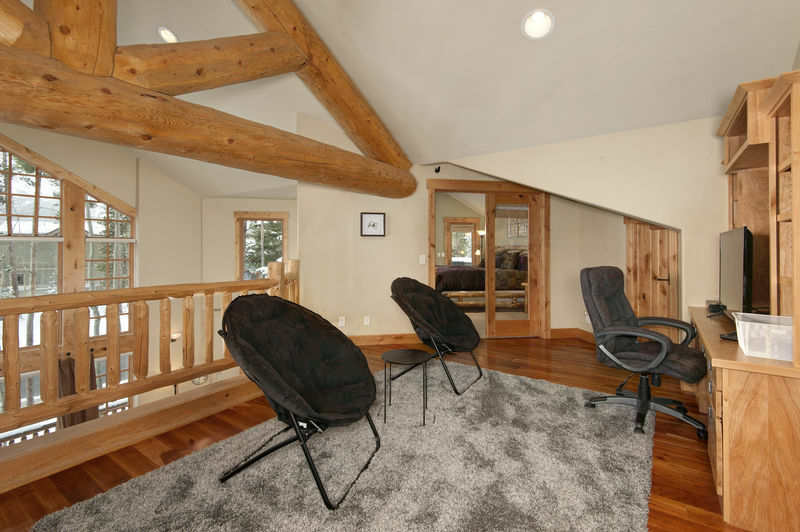 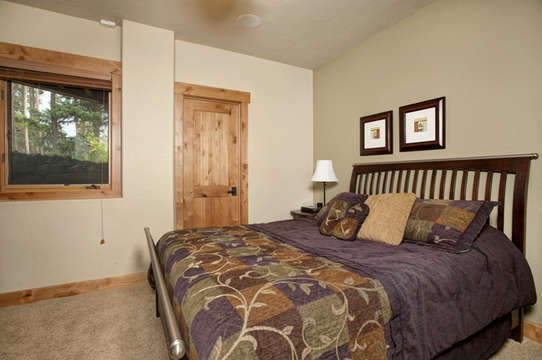 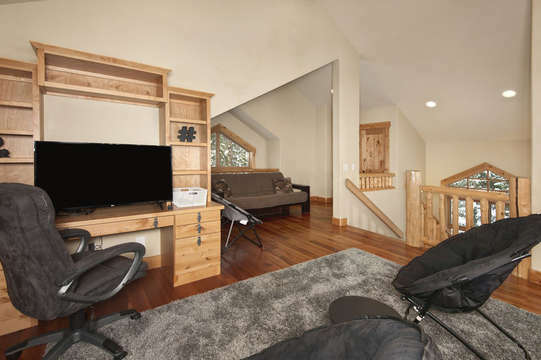 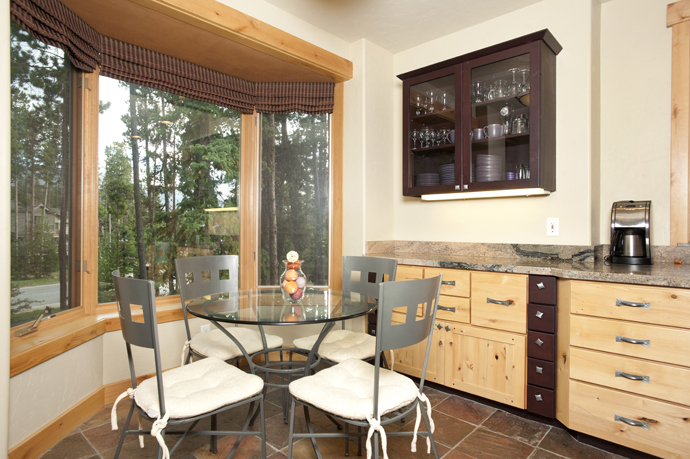 Sunbeam Lodge is a one of a kind property located in town in Breckenridge, just a very short walk to Main St Station and the Peak 9 Lift, Ice Rink, Downtown, and bus stop. 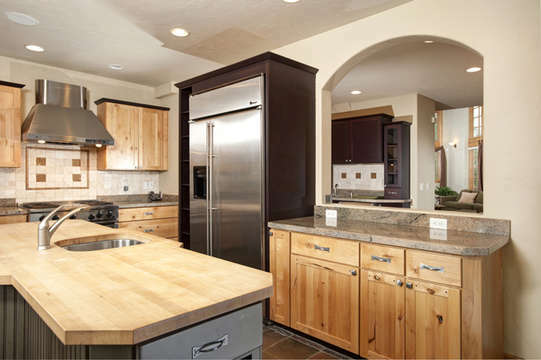 With luxury furnishings throughout, a large gourmet kitchen, wet bar, and expansive living room with soaring two story windows and exposed log beams, this home is designed for comfort and entertaining. 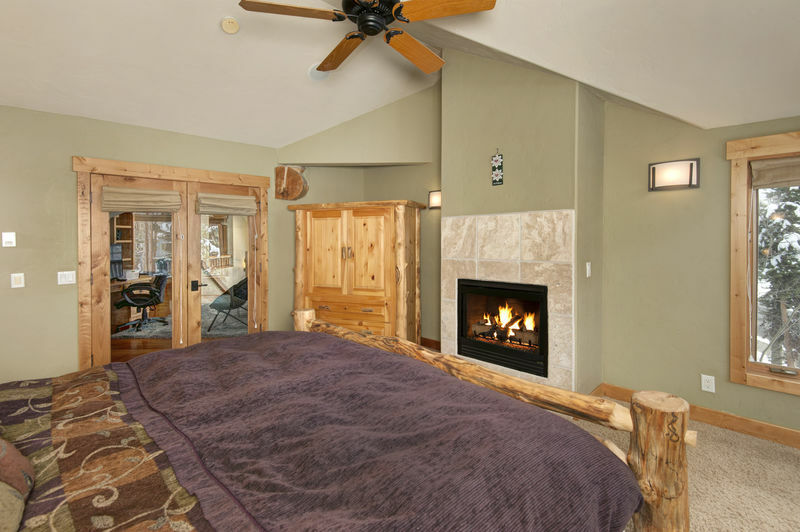 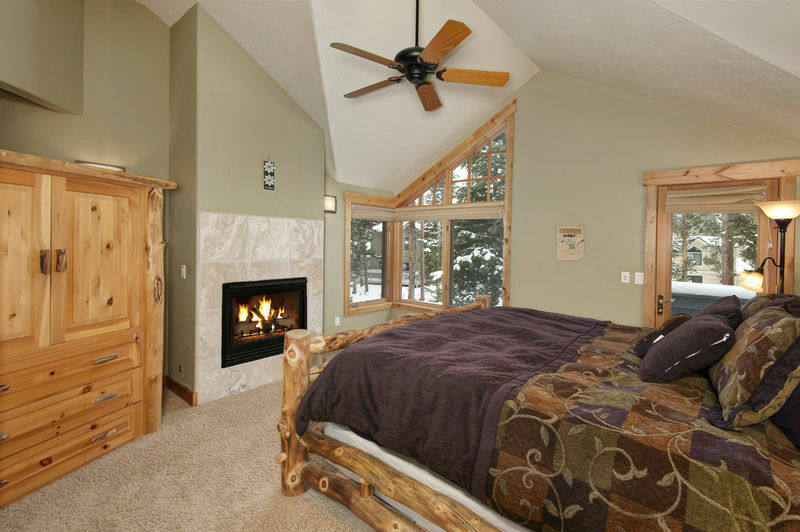 This fantastic home features a private 8 person hot tub located on the deck with views to the Breckenridge Ski Area, 2 fireplaces, garage, Jacuzzi tub and steam shower in the master bath, and private bathrooms for each bedroom. 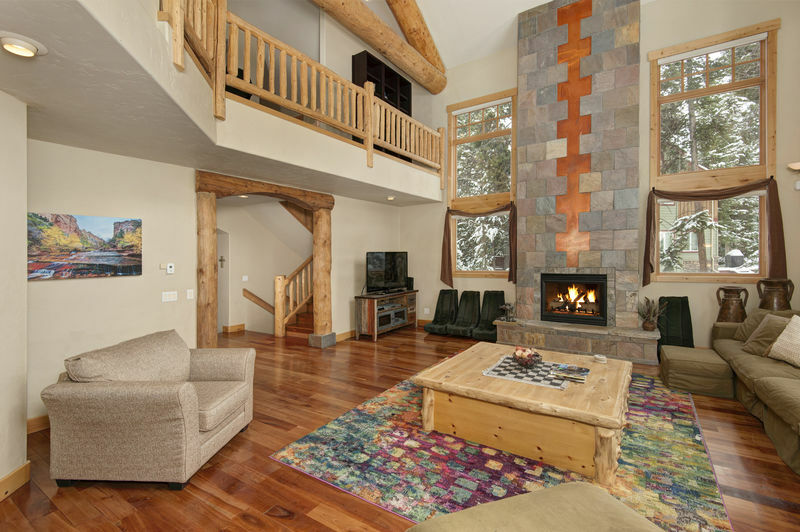 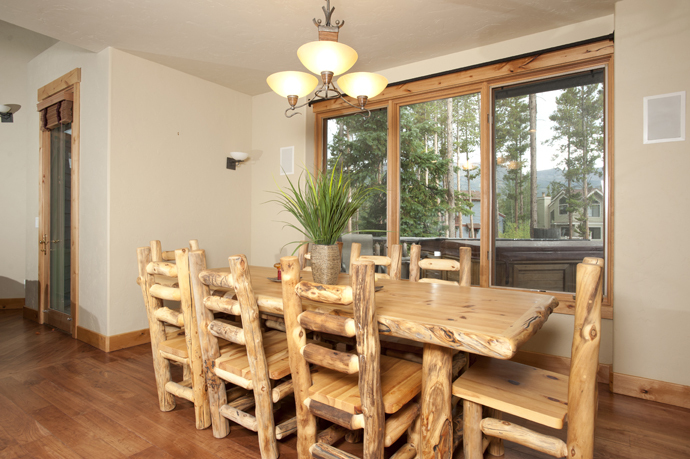 Beautifully designed and furnished with fabulous elegant style, Sunbeam Lodge is an amazing location for any mountain getaway. 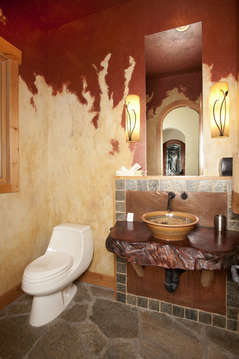 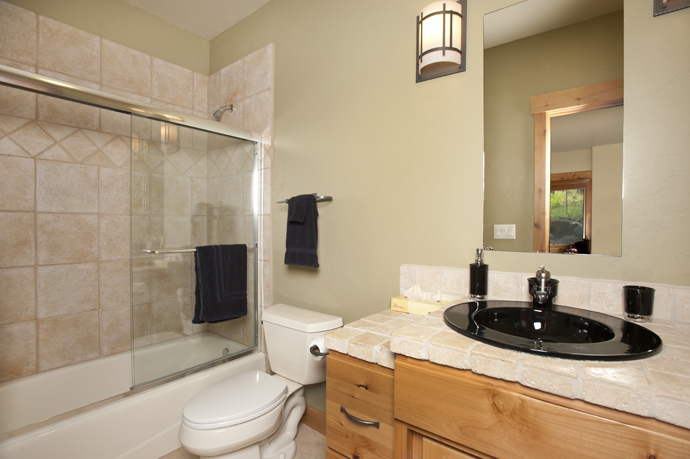 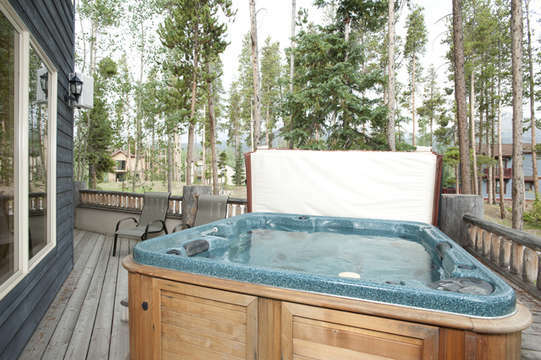 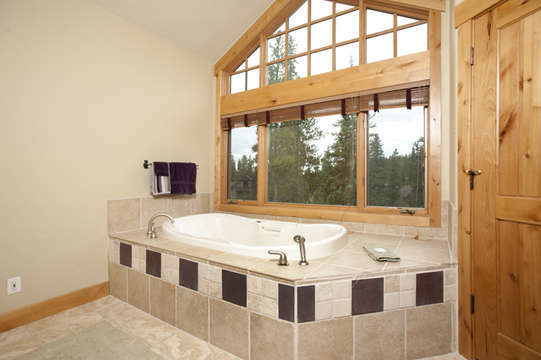 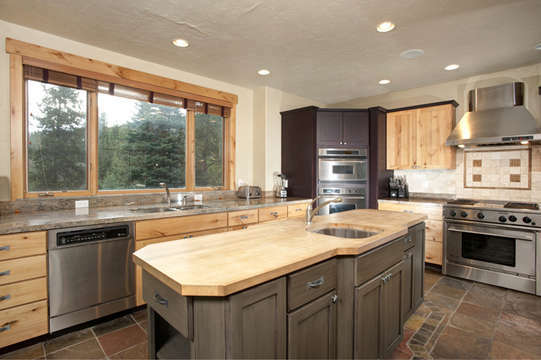 Soak up the views of the mountains and ski area in the private hot tub, enjoy the huge gourmet kitchen, or if you don’t feel like cooking walk the three blocks to Main St. and enjoy the variety of wonderful restaurants and charming shops of downtown Breckenridge, the worlds best ski town! Tastefully furnished and designed, this luxury home is a fabulous summer or winter vacation home. 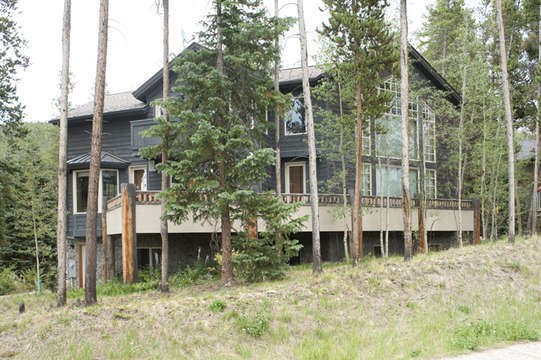 The special home is a spacious 3,500 sq. 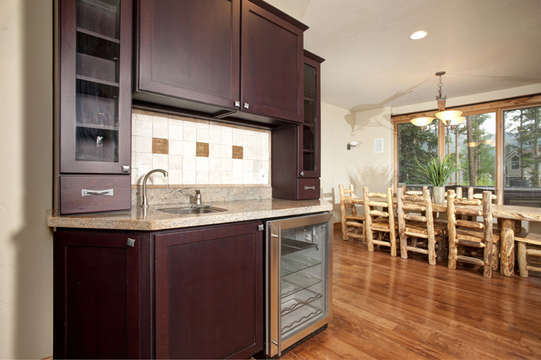 feet and has been wonderfully appointed and furnished with every need in mind. 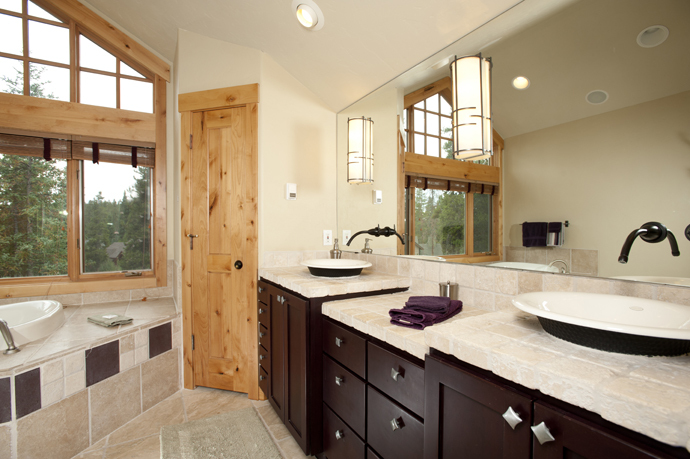 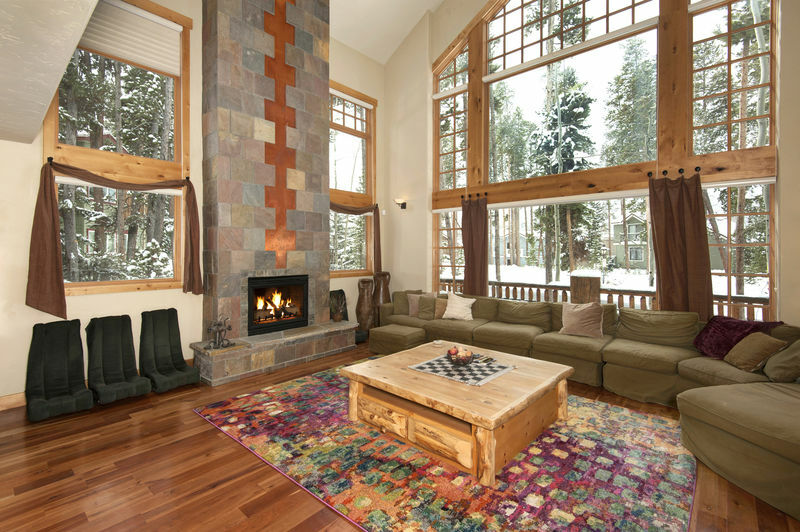 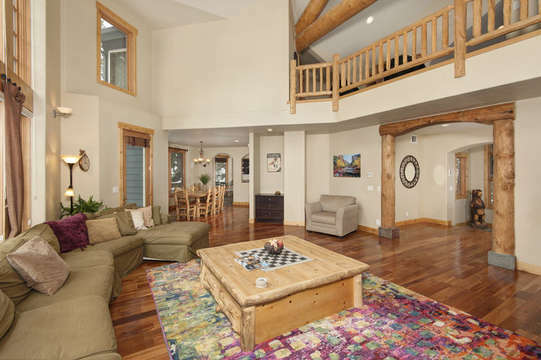 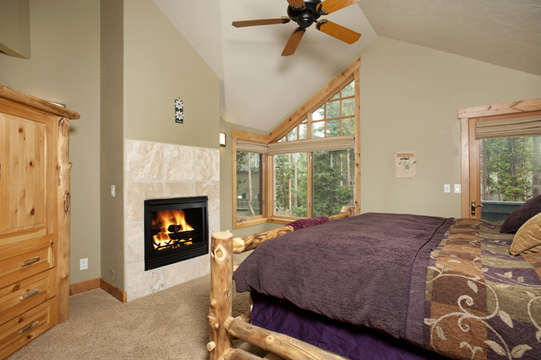 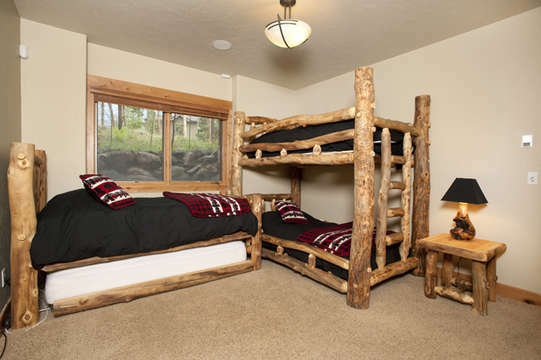 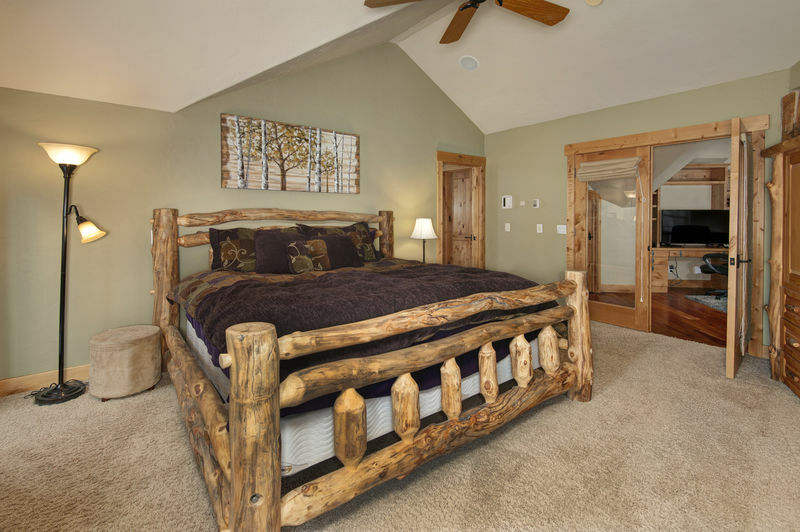 Fantastic designer touches, soaring windows and log accents provide casual luxury. Windows encompass the entire west facing side of this luxury mountain home. The location of this home makes is truly a perfect destination. Just a short 3 block walk to Main St. Breckenridge takes you to the charming downtown area filled with wonderful restaurants and great boutique shopping. 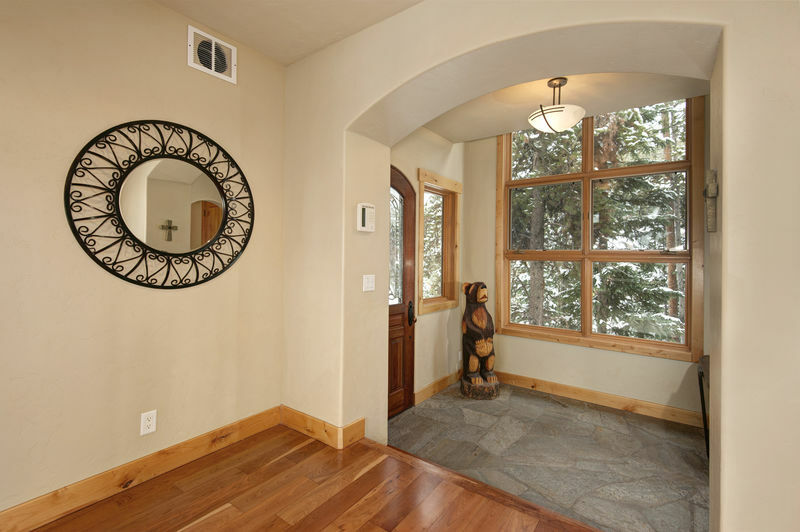 A five minute walk will take you to Main St Station and the Peak 9 ski lifts. Two blocks away is the Breckenridge Ice Rink with year round ice skating. 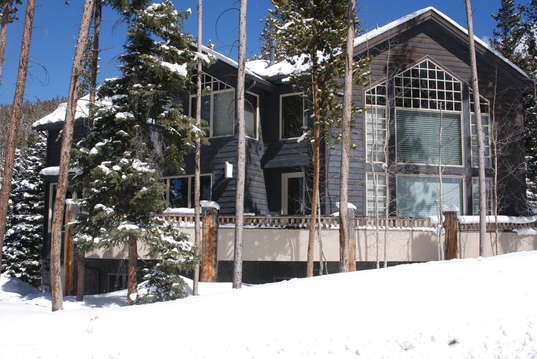 One block away is the bus stop to take you around town and to the three other ski areas located within the county. 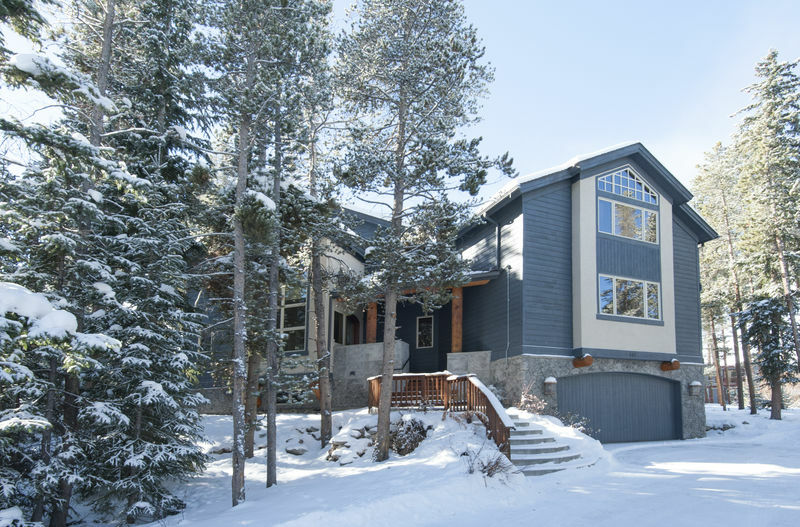 Winter in Breckenridge is every skier’s dream with its champagne powder days, while magnificent summer days provide endless outdoor activities. It’s less than a 2-hour drive west of Denver and is one of the most popular ski resort in the United States. The town of Breckenridge sits at 9,603 feet above sea level, and the ski area covers 2,043 acres of skiable terrain. The majestic, stunning mountain vistas of Breckenridge’s 12,000 and 13,000 foot peaks along its ten mile mountain range thrills every guest.